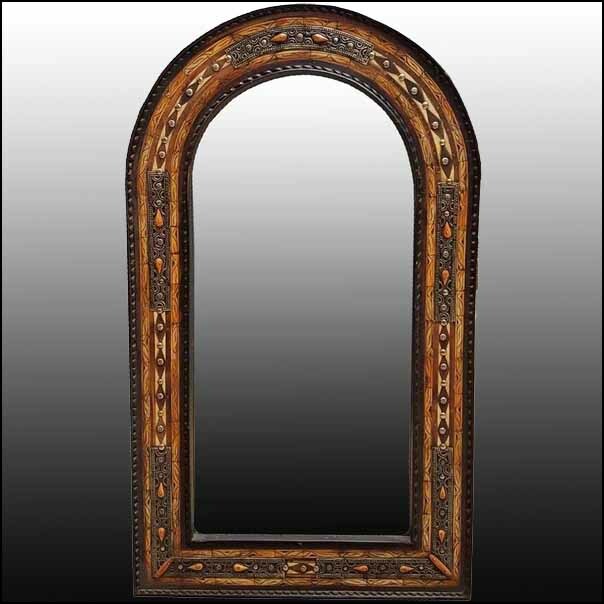 Large metal inlaid and camel bone Moroccan mirror. Made in the city of Marrakech. Rectangular shape measuring approximately 40″ x 24″. Great amount of dyed camel bone inlaid on a sturdy wooden cedar frame. Truly Moroccan. This item is available in stock and can ship worldwide. Please contact us for more pictures or if you have any questions. Many other mirrors available. Please inquire with us about any specific size, shape or finish.